15” TFT monitor, resolution up to 1024 x 768. 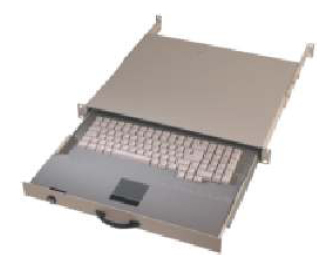 Built-in KVM switch 8-or 16-fold for monitor, PS/2 mouse and keyboard. Cascadable up to 512 PCs. Manual or time-controlled locking of console access. 1U 19” Rack Console Integrated; 15” TFT Monitor, Keyboard and Touchpad.